Bentley Motorsport has travelled 17,000km from its Crewe headquarters to New South Wales in Australia to take on its first challenge of the 2017 season – Liqui-Moly Bathurst 12 Hour – where the team is looking for a win on the world-famous Mount Panorama circuit. 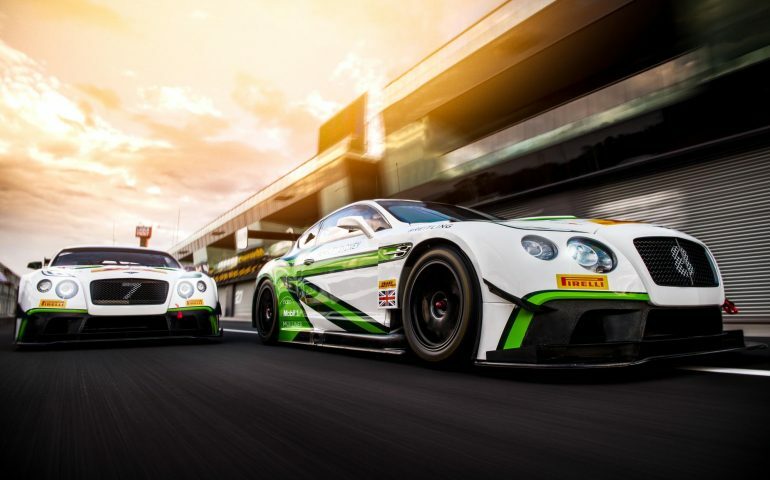 A pair of Bentley Continental GT3s will enter the endurance race that sees more than 50 cars from the world’s leading manufacturers battle it out on the tight and twisting walled roads that wind over the mountain. In Continental GT3 #17, Guy Smith (GB) and Steven Kane (GB) will return to Bathurst for the third consecutive year looking to beat their 2016 third place result. Incoming driver Oliver Jarvis will complete the all-British line-up as he races at Bathurst for the first time. Andy Soucek (ES) and Maxime Soulet (BE), who lead last year’s race at the three-hour mark, will also return to the mountain together, this time bearing the number #8. They will be joined by Vincent Abril (MO) who also makes his debut on the 6.2km-long Australian track. “Bathurst 12 Hours is a fantastic way to start our season each year,” commented Bentley’s Director of Motorsport Brian Gush. “It has quickly risen to become one of the largest GT races in the world, with so many of the worlds leading racing manufacturers travelling from Europe to participate.